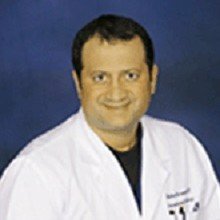 Dr. Shahin Keramati received his medical degree at the University of California, San Diego, School of Medicine. He then served his internship and research fellowship at the UCSD Medical Center. Dr. Keramati went on to finish his Internal Medicine residency at the University of California, Irvine. He returned to UCSD Medical Center and completed his Cardiology and Interventional Cardiology fellowship. Dr. Keramati is currently an Assistant Clinical Professor of Medicine at UCSD School of Medicine. He is certified by the American Board of Internal Medicine with additional certifications in Cardiovascular Disease and Interventional Cardiology.